Discussions Magazine Music Blog: RUNNER RUNNER/The self-titled debut album available February 15th, 2011! 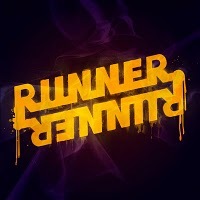 RUNNER RUNNER/The self-titled debut album available February 15th, 2011! 2011 album from the Southern California Alt-Rock quintet. Runner Runner's self-titled debut combines skillful songwriting and musicianship, punk-infused intensity and humungous pop hooks. The entrance that Runner Runner is making on an unsuspecting music scene is in keeping with its name that has its origins in Ogren and Berry's love of poker: "runner runner" is a poker term that, loosely defined, means coming out of nowhere and pulling off a winning hand at the last possible moment. Produced by Dave Darling (Stray Cats, Brian Setzer, Soulive), Runner Runner introduces a vital young band blessed with a rarefied collective gift for crafting instantly accessible songs that reveal additional layers of meaning with each listening, as well as the elevated skills to deliver their taut material with slam-dunk forcefulness. These guys really have been going 'Runner Runner'! They have gotten so much more known over these years since they've started this band. I love watching them progress and supporting them. This debut album is just fantastic! I have been telling everyone about it and giving them as much support as they can. I hope everyone else is doing the same! This album is a catchy one. Go out and get your own copy! I first became familiar with these guys back in October when I saw them at a show. I instantly fell in love. I was so excited when I got my hands on the final copy of their debut album. Every pop music fan should definitely check out this album and this band!